Mr. Ramesh Chotai, is the President of Bromed Pharmaceuticals. He pursued his education as Pharmacist in the UK and Switzerland and joined ICI Pharmaceuticals in Kampala, Uganda. He came to Canada in 1972. Starting as a Pharmacist/Manager at an Oshawa Pharmacy, he has built a very successful group of companies that manufactures and distributes medical and healthcare products around the world. His company Bromed Pharmaceuticals became one of the leading Pharmaceuticals company with a turn over of multi-million dollars bringing employment to several individuals and becoming one of the leaders in pharmaceutical formulation technology. Mr. Chotai, is a co-founder of Canada India Foundation (CIF) and under the auspice of CIF many successfully entrepreneurs joined to champion the bi-lateral trade relations and sector-based public policies between Canada and India. Mr. Chotai was CIF’s Chair during 2009-2011 and under his leadership, many strategic initiatives were organized such as Canada India Energy Forum and Canada India Mining and Metals Forum. He was also member of two delegations led by Premiers of Ontario to India. He was also the Co-chair of Canada India Health Care Summit which was held both in Canada and India. Community builder and a philanthropist, he is the past President of the Hindu Mandir and Cultural Centre. Mr. Chotai, is the Vice-Chairman of the Canadian Museum of Indian Civilization, President of Vraj Canada Community Centre and Canada Serves. 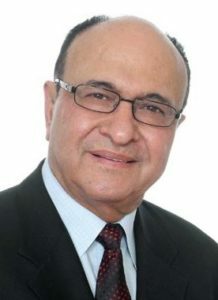 He has received many awards from the Government of Ontario and various community organizations. In 2001, Mr. Chotai was instrumental to raise $1.6 million in three weeks for Gujrat Earthquake relief and it created a partnership with Canadian International Development Agency (CIDA) to match $3.2 million to build 802 homes, 32 schools, 4 community center and 4 medical mobile clinics in the earthquake-ravaged areas in Gujarat.